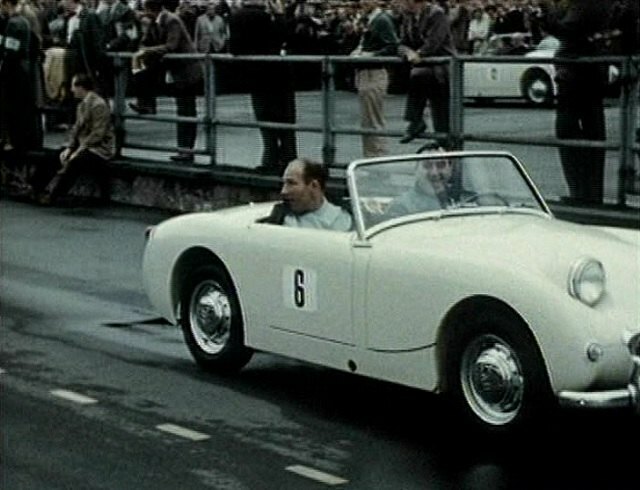 IMCDb.org: 1959 Austin-Healey Sprite 'Frogeye' Series I [ADO13] in "British Legends of Motorsport, 1991"
1959 footage, LHD, Stirling Moss being chauffeurred. 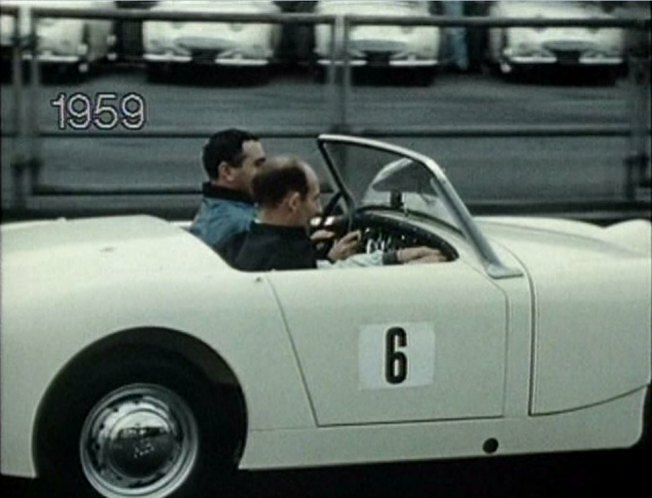 Footage does not give clues where/when/what, but Hospitality Sprites at a wet F1 race? ?